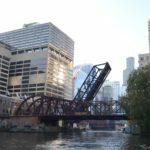 The University of Illinois Press: What is the significance of the bridges for Chicago? Patrick: Chicago has long called itself the Drawbridge Capital of the World and has more drawbridges than any city in North America. Chicago in classic Second City form is only second in the world to Amsterdam for the number of drawbridges, but has the greatest variety of different drawbridge designs of any city on earth. For 150 years, Chicago has been a world center for moveable bridge innovation, design, and testing. Chicagoans hold more drawbridge patents than other city, and more new drawbridge designs and innovations were first invented, built, or tried in Chicago before anywhere else. Around the turn of the last century city engineers created the Chicago-type bascule bridge, which is world renowned in design and engineering circles and used nationally and internationally. In parallel, it is not surprising great bridge designers and builders like Strauss, Modjeski, Scherzer, Ericson, Rall, Page, Philfeldt, von Babo, Young, and Becker were all drawn to Chicago to create many of the bridges still in use today. 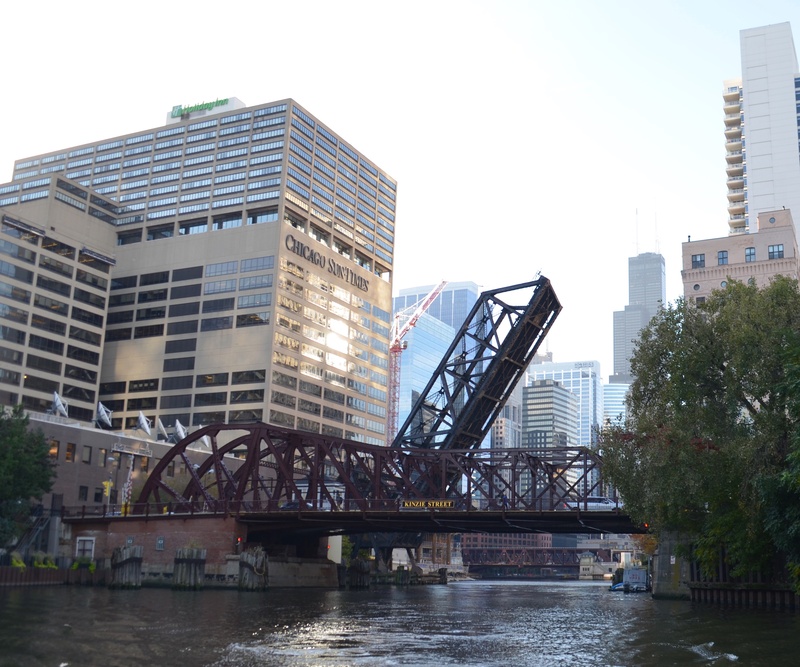 The Press: What sparked your personal interest in researching Chicago’s river bridges? Patrick: There are about a dozen factors and life experiences that summoned me into Chicago’s bridge history, yet the idea was sparked on a blustery Sunday in December 1999. My intention was to start a new hobby in photography and took some pictures beginning at Kinzie Street. There along the North Branch of the Chicago River shooting the bridges I finally really “saw” the bridges for the first time. The idea occurred to me, that these underappreciated bridges were hugely interesting, fascinating, and posed a series of questions and quite possibly there was a book in it. At first glance Chicago’s bridges all seem similar, and yet upon closer inspection each is quite unique. Photographing the bridges left me with many nagging questions like: Where did these bridges come from? Why were they here in Chicago of all places? How do they work? …and so on. Life quickly interceded, but fortunately five to six years later I was able to take a year off work. When actually confronted with twelve-months off the bridge book idea returned. Naively I figured I could complete this book in about a year, and in researching the bridges discovered such a book did not exist. That was eight years ago and interestingly the very spot I was inspired to do this project — is where 170 or so years earlier Chicago’s very first bridge was built. This coincidence may have held a good bit of destiny with it. The Press: You focus on drawbridges in particular as key to the infrastructure of Chicago. What made these moveable bridges such a significant part of the city’s history? Patrick: The bridges are both a key to the city and a result of its growth and development. Chicago experienced the most rapid growth in population during the 19th Century of any city in history up until that time. This occurred during a period when the pre-eminent means of transportation was by water. Chicago grew-up around this small, narrow, Y-shaped river that was a critical link between the Great Lakes and Mississippi watersheds. Ultimately Chicago and its River connected the eastern seaboard to the Gulf of Mexico and points between. Given that watercraft traditionally had the right of way, the bridges had to accommodate the busy ship traffic coming in and out of the Chicago, and later, the Calumet River. With the flat landscape and high value of land, moveable bridges became the links connecting Chicago’s North, South, and West sides. 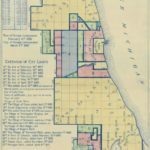 As the city grew and changed as did our means of crossing the river, which made Chicago a natural center for drawbridge innovation, technology, and design. Chicago’s demand for better bridges came to have national importance, which lead to federal oversight of navigable waterways. 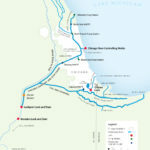 The Press: Why did you choose to focus only on certain portions of the Chicago River rather than on all the significant waterways of the city? Patrick: Originally I wanted to create a complete Chicago bridge bible covering all bridges. both past and present crossing Chicago’s waterways. 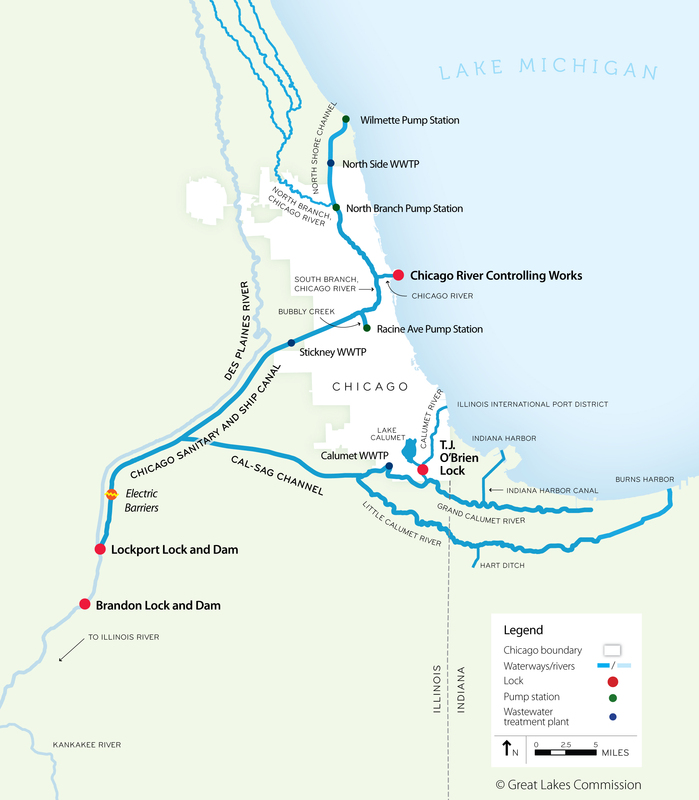 This would have included the Chicago River, Calumet River, and the Canals—the Illinois & Michigan, the North Shore, and the Sanitary and Ship Canals. However, it soon became clear this would have to be broken up into two or three books. Focusing on the navigable portion of the Chicago River allowed me to get my arms around a manageable chunk of bridge history. Otherwise I might still be researching and writing with little to show for it. The Preface of the book gives more detail on this decision, so suffice it to say this allowed me to develop the underlying drawbridge theme highlighting Chicago’s moveable bridge development and innovation. I hope some day to return to the bridges and complete a second volume on the railroad bridges, Calumet River bridges, and canal bridges past and present. The Press: Today, many of Chicago’s drawbridges remain intact but are used primarily as fixed bridges. Why do you believe these structures remain important despite their diminished use and value? Patrick: Over 60 drawbridges still stand in Chicago over the waterways and 43 are still operational. These inoperable moveable bridges include many important representations of earlier drawbridge designs and most are along the North Branch of the Chicago River. These drawbridges no longer open and are being treated as fixed spans. Since 1961 new fixed bridges have replaced seven old drawbridges along the North Branch. Most of these new fixed bridges are basic steel and concrete spans and not of particularly interesting. However the more recent replacements by the City of Chicago have installed architecturally significant fixed bridges in the stead of old moveable bridges. These new fixed bridges improve traffic flow offering four-lanes versus the old two-lane drawbridges and better serve the area. Traditionally in the United States brand new structures are preferred to replace the old instead of refurbishing or repurposing the existing structures. As with Chicago’s older drawbridges it feels like substituting costume jewelry for true gems. The magic and nostalgia of the old drawbridges and tension of permanence and movement is lost along with the child-like thrill of imagining the bridge opening. As an example in 2006, a first-generation Chicago-type bascule bridge (built in 1907) at North Avenue was replaced by a new fixed bridge — the city’s first ever cable-stay suspension bridge. Though beautiful and the only one of its kind in Chicago, this fixed bridge lacks the same magic. Yet it is hard to argue when driving in traffic as its four-lanes conveys the congestion of the area much better than the old one. The new North Avenue Bridge cost $21.4 million, while a comparable four-lane drawbridge would cost more than twice that amount. Such extravagance would be a tough sell for taxpayers, myself included. Nonetheless I still hope that two almost 100 year-old Chicago-type Division Street Bridges connecting the east and west side of Goose Island may somehow be preserved. They are two of the last four of ten first-generation Chicago-type bridges built between 1902 and 1911. The other two are also on the North Branch at Kinzie and Cortland Street and each is rather unique as early examples of the Chicago-type bascule bridge. The Press: How does the history of Chicago’s bridges mirror the growth and development of the city as a whole? Patrick: It is difficult to separate the two, as one would not have developed without the other. Both the city and the bridges grew in population, scope, complexity, and sophistication over time, which led to new and major advancements from generation to generation. Innovation and development were prompted by major events and disasters. The advent of new materials such as commercially grade iron and then steel or the Great Fire of 1871 pushed innovation, advancement, and development of the city to create more diverse and advanced architecture, industry, and businesses. Likewise these events encouraged innovations in bridge construction and design, which was often first created or tested in Chicago before anywhere else on earth. In turn the interplay between the two meant the bridges enhanced the city and the city enhanced the bridges spiraling forward into bigger and better things. Truly it is impossible to look at the bridges in a vacuum without the wider context of Chicago, as it is difficult to discuss the development of the city and its infrastructure without at least mentioning the bridges. Chicago’s most famous bridge at Michigan Avenue is a good example of this interplay. 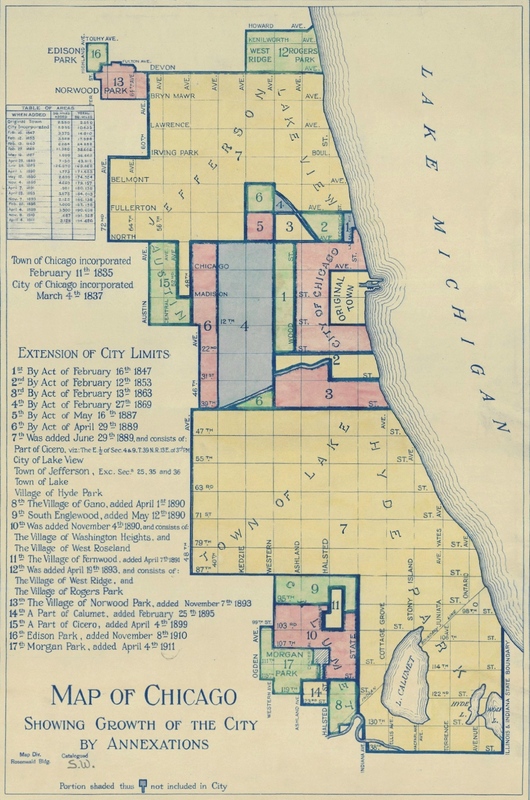 It was a key link in the 1909 Plan of Chicago, which laid out a broad civic blueprint to integrate streets and boulevards, harbor, railroad, and park facilities into a comprehensive city system. The broad boulevard of Michigan Avenue with its bridge connecting the North and South sides, which was completed in 1920, transformed Chicago and most notably created the Magnificent Mile north of the river. This bridge led to the transformation of a quiet residential street, formerly know as Pine Street into the city’s main shopping district. Originally State Street was Chicago’s commercial center but three to four decades after the Michigan Avenue Bridge it had shifted to North Michigan Avenue. This bridge ushered in tremendous real estate and commercial development along this boulevard, yet one more reason why it is Chicago’s most famous and most decorated bridge.